September 26-30 is designated as Malnutrition Awareness Week in our country. Our dentists at Mansouri Family Dental Care & Associates are keenly aware of the vital link between a healthy diet and optimal dental health. For this reason, we feel it’s important to highlight the role that nutrition plays in your dental health. Malnutrition is not reserved for third world countries. You can read about “Hunger in America: 2016 United States Hunger and Poverty Facts” here. While we hope those statistics are improving in the United States, there is still much work to be done. Maintaining optimal oral health helps you combat malnutrition and proper diet helps you maintain optimal oral health. It’s, as the article describes, an “interdependent relationship” that is vital for everyone. Eat a healthy, well-rounded diet that includes vitamins, minerals and other nutrients to maintain healthy tissues and organ function. Maintain your daily oral hygiene routine and continue to schedule your dental checkups and cleanings. These preventive appointments are important for removing damaging plaque or tartar that can compromise your optimal oral health. 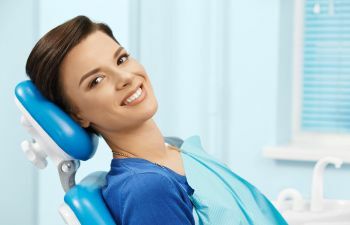 Call and book your comprehensive dental exams with Mansouri Family Dental Care & Associates so we can provide you with the most complete and comprehensive dental exam in Marietta.